Brett Luke | The Journal Gazette Fort Wayne Fire Departments respond to reports of smoke early Sunday morning at one of the North Woods Village Memory Care Assisted Living buildings. Residents were safely evacuated to another building until further investigation on what caused the initial report. FWFD reports minimal damage to the building itself. 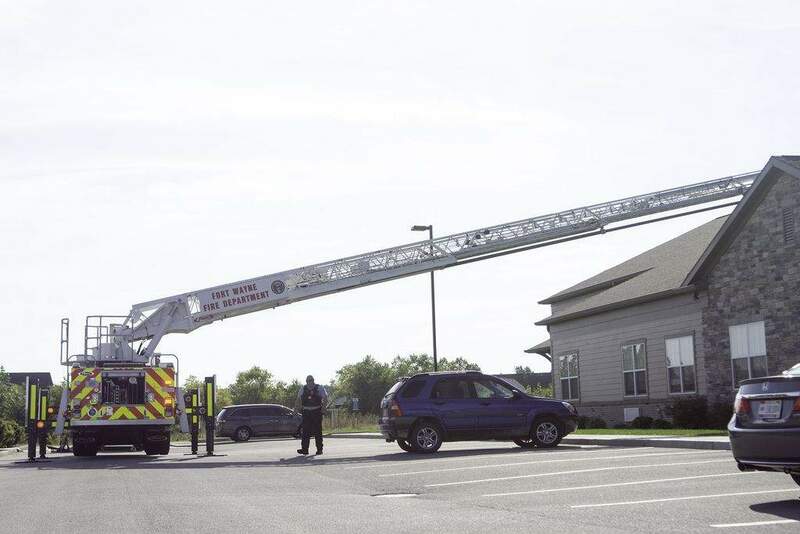 Fifty-five residents at an assisted living center were evacuated to a different wing early Sunday morning while Fort Wayne Firefighters fought a fire in the attic. Around 7:46 a.m. firefighters responded to 8075 Glencarin Boulevard at the North Woods Village Retirement Home, on the city's southwest side, to the report of something burning, a statement from the department said. After a search of the building, firefighters discovered a fire in the attic. It took several hours for crews to remove the burning insulation from the attic and get the fire under control.